We have a nice high-value Target cartwheel offer available to save 30% Off Nespresso Vertuo & OriginalLine machines valid thru today 3/18 only. 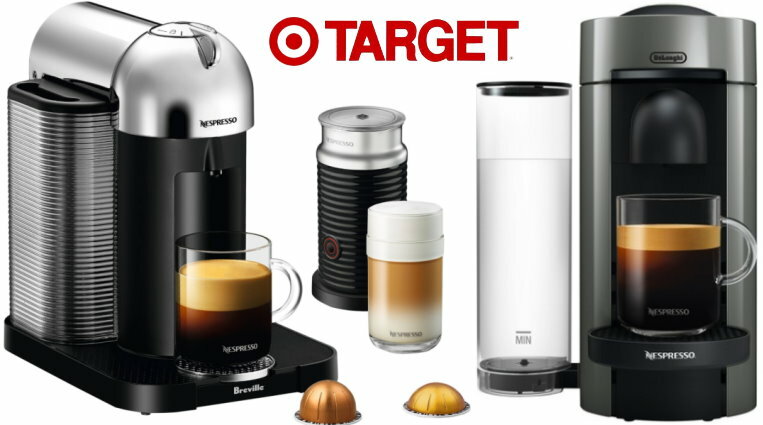 However, before you shop in stores where many of these machines are regular price, you might want to check online first where Target.com is offering a hefty sale on select Nespresso machines with up to 30% off regular prices. If the model you are interested in is in stock at your local store – you can add the cartwheel and order the item online and choose FREE Store pickup or Driveup. This way you will now get the sale price AND the extra 30% Off discount on qualifying Vertuo & OriginalLine models.